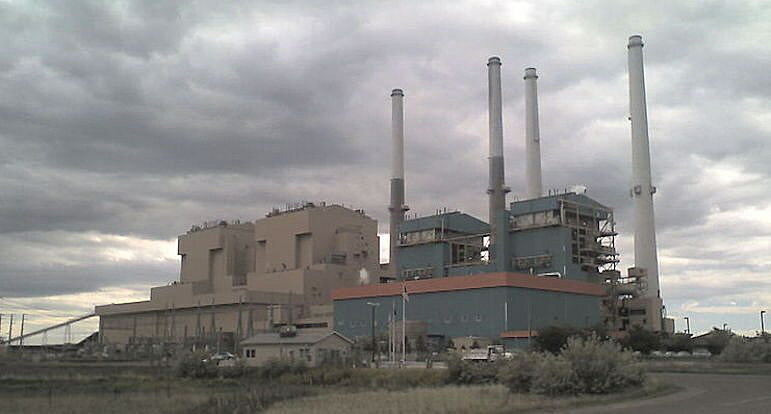 Colstrip’s old coal-fired power units are losing money and that means their days are numbered. Units 1 and 2 are closing by 2022 at the latest and maybe sooner. We need to make sure Colstrip’s operators fulfill their responsibilities in helping the state deal with the economic loss to workers, the community and the environment. But, we have another problem. Legislation has been proposed that doesn’t just hold Colstrip’s operators accountable—it punishes them. And, as good as retribution may feel, the problem is that it will also scare away developers and companies whose investments we want and need. Montana has huge potential as an exporter of clean energy from wind and solar in the region around Colstrip where we most need development. It would be tragic to compound the closure of the coal facility by showing potential developers of those resources that they risk being singled out for legislative retribution if they come to Montana and run afoul of state leaders. That’s just what Senate Bill 338, sponsored by Sen. Duane Ankney, R-Colstrip, would do. No one doubts Ankney’s desire to do what’s right for his community and his constituents, but his bill would make Colstrip’s owners pay for a wide array of costs that fall outside the scope of normal agreements—costs like residential property value devaluations. Potential developers of businesses and facilities that we hope will someday replace Colstrip look at such legislation and see increased risks, increased cost and increased reason to develop somewhere other than Montana. Meanwhile, Puget Sound Energy has committed money for decommissioning and cleanup costs. Yet, Senate Bill 338 fails to require Talen Energy—the other owner of units 1 and 2—to provide any money for the substantial decommissioning and cleanup costs in Colstrip. These costs are estimated at more than $200 million just for the two older units. Leaky coal ash ponds have poisoned the town’s aquifer and, considering Montana’s long history of having to clean up environmental messes left after polluting industries cut and run, Colstrip is looking like its cleanup will become another burden inflicted on Montana taxpayers. The overreach of the penalties in this bill is why conservative groups like the Montana Taxpayers Association and the Montana Chamber of Commerce oppose the bill, which they argue penalizes companies for making market-based economic decisions and creates an anti-business environment in the state. Meanwhile, utilities that operate in large and growing West Coast markets that Montana has relied on for decades are indicating that the bill would make them less likely to invest in future energy projects in Montana. It’s important to remember that utilities are perhaps the most risk-averse business out there. They put immense effort into assessing risks, and how much negative value to assign to that risk. If utilities are worried that Montana may someday hammer them with an exit fee that goes beyond appropriate accountability, it’s very easy to decide they should take their energy generation investments elsewhere. SB 338 shuts the door on investment and puts up a “closed for business” sign to out-of-state industries. And, in the short term, it may even cause Talen, Colstrip’s current operator, to walk away even sooner than originally planned, leaving PSE and Montana taxpayers to pick up the tab. A Talen lobbyist recently toldlegislators that the company may not make it through the end of this year. We must require that Colstrip’s owners do their part to help the Colstrip community transition and clean up the site properly. We should use the money they contribute to make Colstrip and Montana as a whole livable for the long-term by making sure we have clean drinking water for families, farmers and ranchers. And we should use the law to keep Colstrip and Montana attractive to businesses that want to develop our immense wind and solar resources. Diego Rivas is a senior policy associate with the NW Energy Coalition, an alliance of more than 100 environmental, civic and human services organizations, utilities, and businesses in Montana, Idaho, Washington and Oregon.